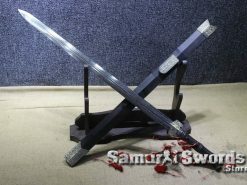 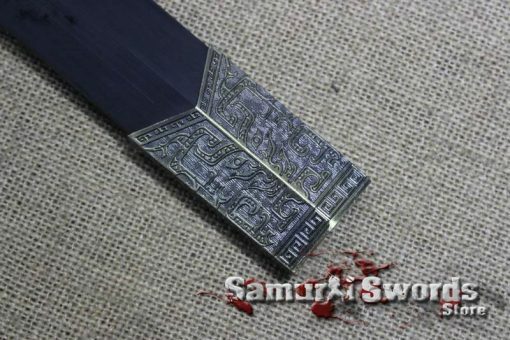 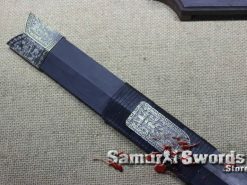 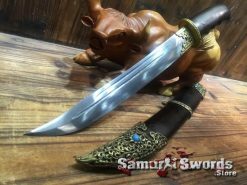 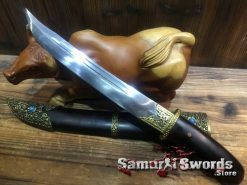 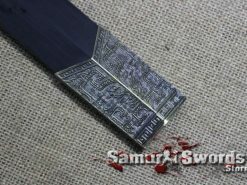 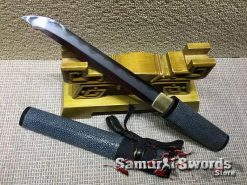 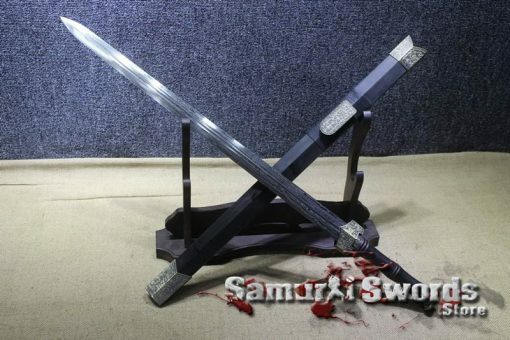 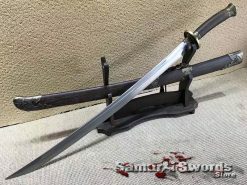 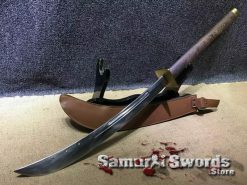 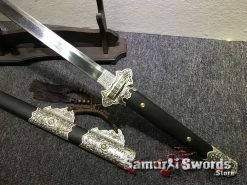 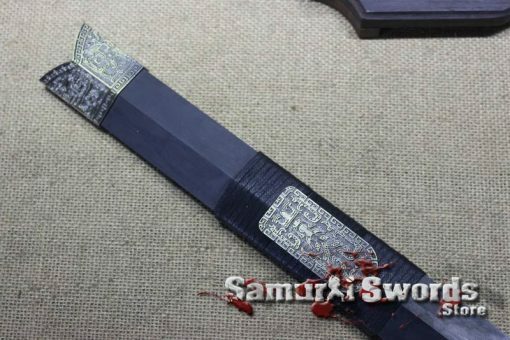 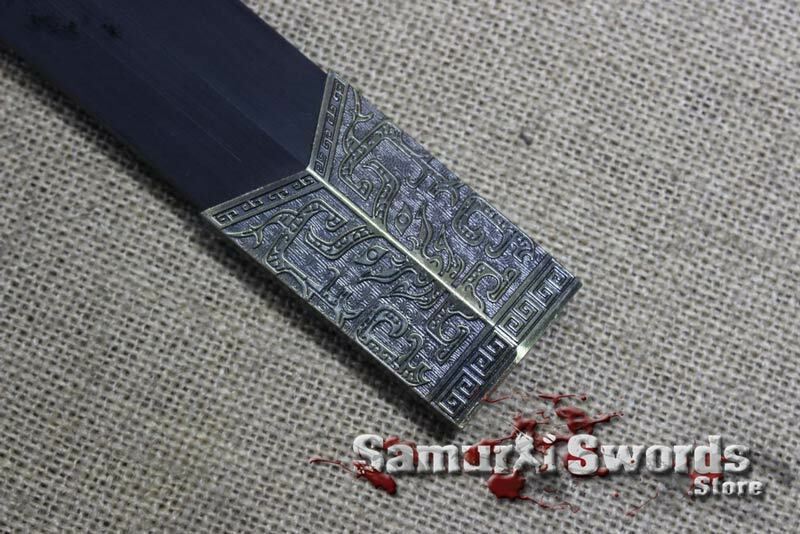 This is the Forge Folded Handmade Chinese Han Jian. 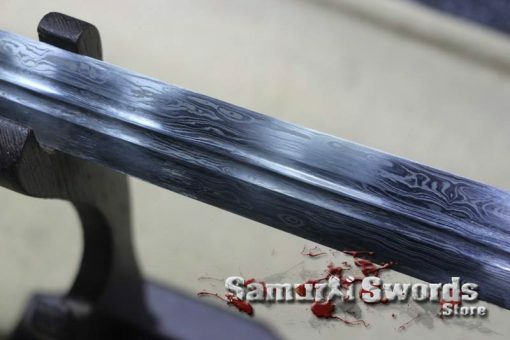 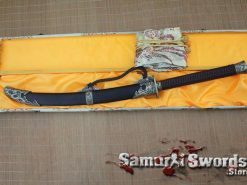 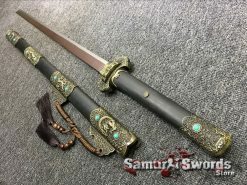 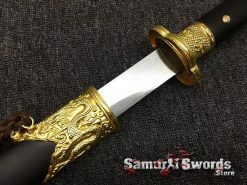 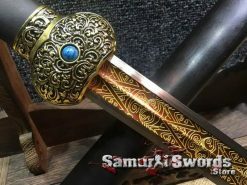 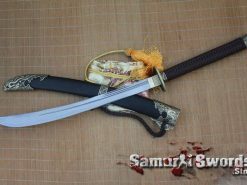 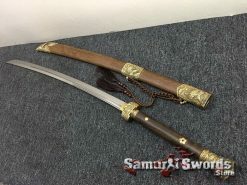 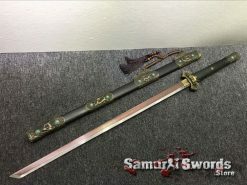 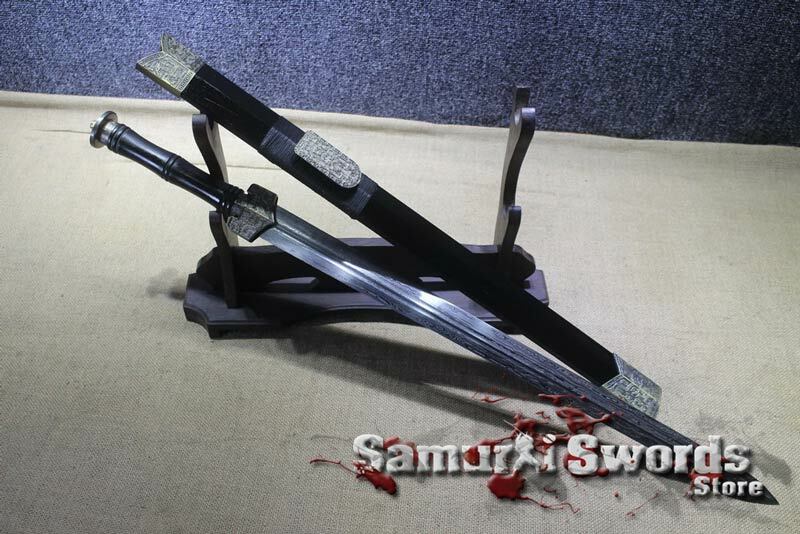 This sword is a high quality, exquisite double groove jian with highly detailed vine-scroll alloy fittings. 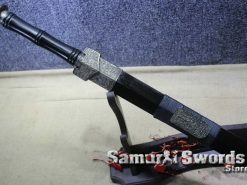 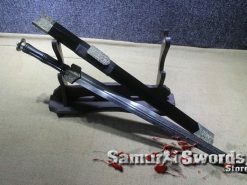 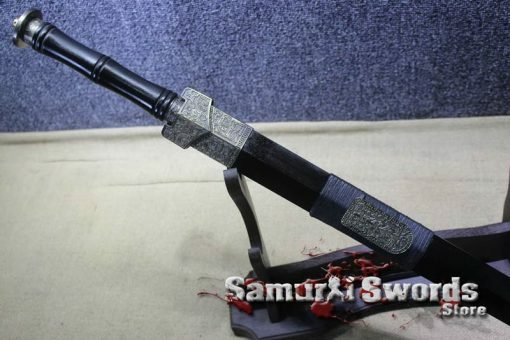 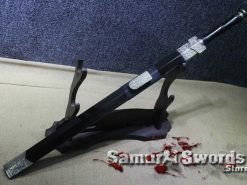 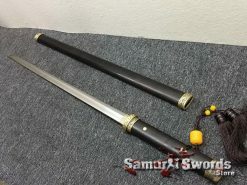 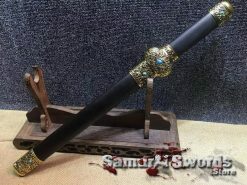 The scabbard and handle are made of black hardwood which is sanded smooth finish. 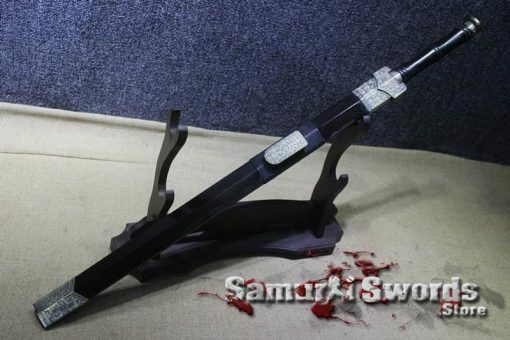 This sword is a wonderful display piece and shows the height of Chinese sword making technology and culture. 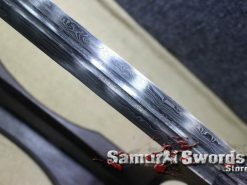 The blade has a monosteel construction. 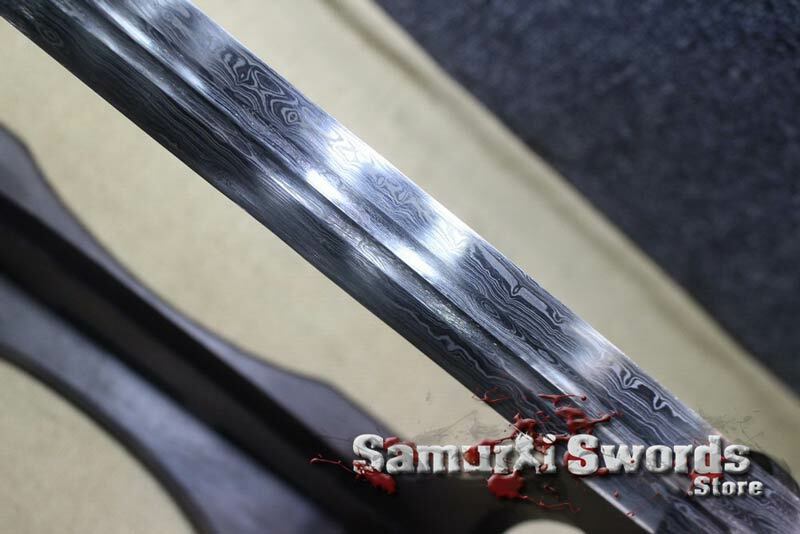 It has been hand forged, and folded, creating a look similar to the Damascus Steel technique. 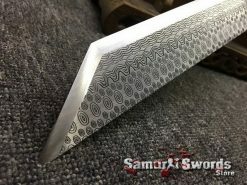 The layers of folded steel can be easily seen on the blade. 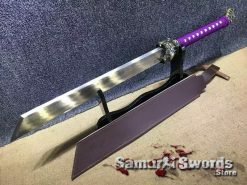 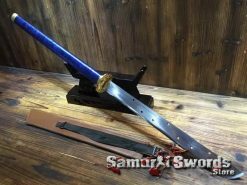 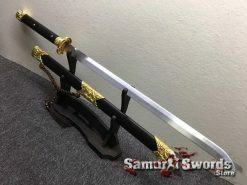 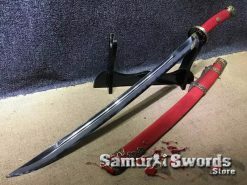 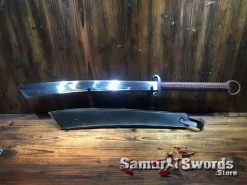 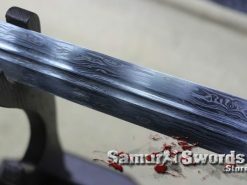 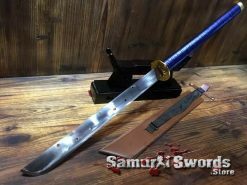 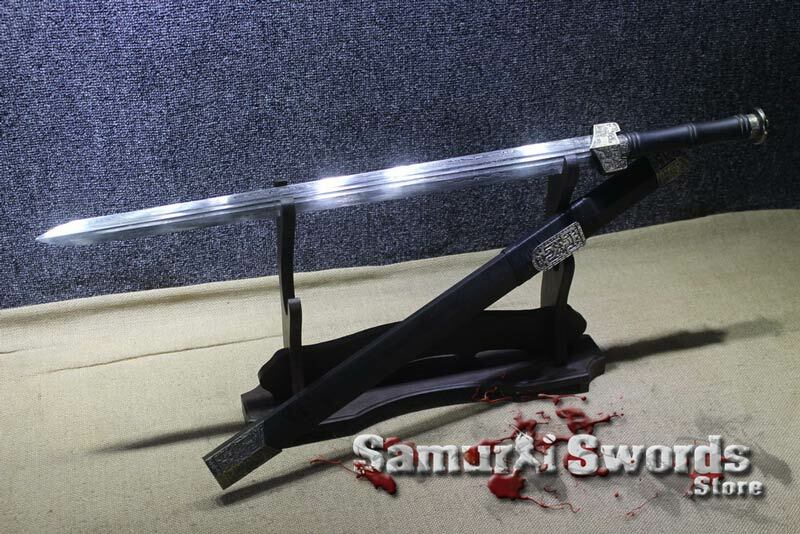 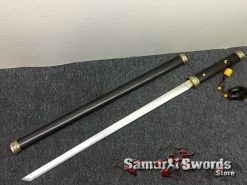 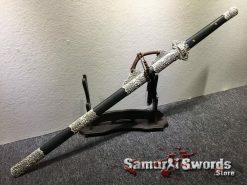 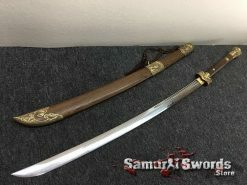 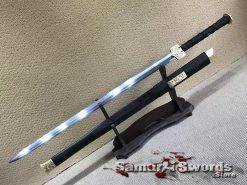 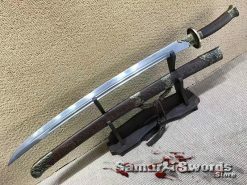 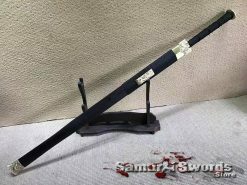 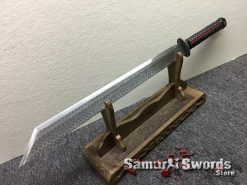 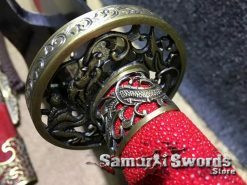 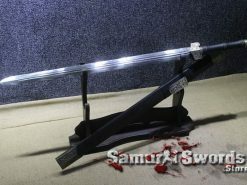 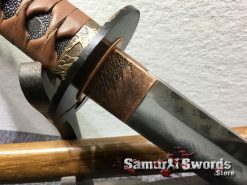 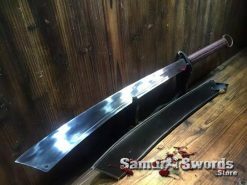 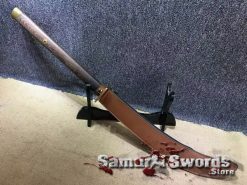 Every aspect of the sword has been created authentically. 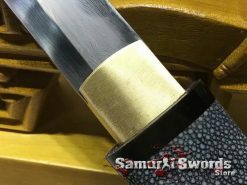 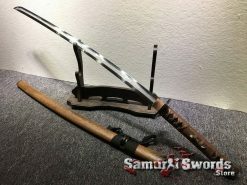 The blade features a Bo-Hi (groove) for better balance and a audible feedback when the sword is swung.